Abandoned by her troubled mother, twelve-year-old Tracy moves to her Great-aunt Lynette's farm in southwest Wisconsin. At first lonely and feeling distant from the stern old lady, things change with the appearance of a stray cat. With the help of her neighbor, Mallory, and a conservation warden named Jamie, love begins to grow between Tracy and her aunt, and a friendship blooms among the unlikely group. Kitty and Tracy then begin exploring their surroundings—the farm, and a nearby wooded canyon. The adventure that follows solidifies their bond, and forever changes their lives. Inspired in part by true events, A PLACE FOR YOU is a story of growth in love, friendship, and courage. Tim Fox’s second adventure story for young people set in Wisconsin, A Place For You, is a sweet story for the young girl reader who loves cats and mysteries. Loosely based around the story of a leopard raised in India and released into the wild who comes to her former handler for help during a flood, Fox’s story opens with a viewpoint reflection from a sick housecat looking for help. Tracy, a tween girl recently taken from a neglectful parent and placed with a great-aunt, answers the cat’s plea, and a lesson in responsibility, friendship, and love changes what could have been a long, lonely summer into one of adventurous fun. Fox also introduces his readers to Big Girl, a cougar raised by humans and released to nature. Big Girl recognizes that Tracy and her kitty are no harm to them, and eventually recognizes Tracy as a kindred spirit and instinctive helper. Self-published. My review copy had a few easily fixable minor errors. Recommended particularly for about fifth graders who love adventure stories, aren’t afraid of adding to their vocabulary and in particular, love cats. I live in southwest Wisconsin, not far from the Baraboo Hills. Hiking and exploring Wisconsin’s state parks and wilderness areas, and working out (especially lifting things!) make for good times. I was a teacher for 17 years. I’m now a personal fitness trainer and an “Olympic-style” weightlifting coach who runs a gym in his garage. 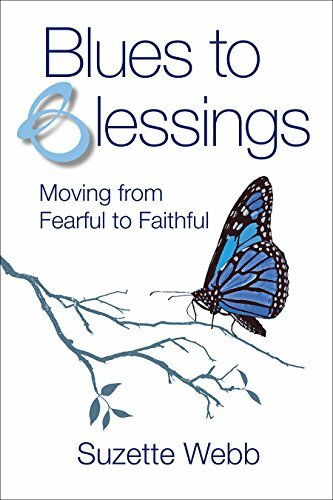 Blues to Blessings: Moving from Fearful to Faithful inspires people to leap from their comfort to their miracle by renewing their faith and trust in the Lord. With fitting Bible verses and engaging, powerful stories, it guides the reader to a place of deeper connection with God and with themselves to ensure they are living the fulfilling, purposeful life they were meant to live. For more information, visit www.bluestoblessings.com. The author approached me to ask if I would consider posting an article on my blog. I was impressed with her content which was about evaluating your life, supposedly in time for its name day on October 16. I happened to be in the middle of a move and, unusual for me, ended up missing the date, but posted anyway. Read it here. Suzette was gracious and later asked if I’d considered reviewing the book that inspired the message. To be honest, I work with many authors of the same type of material and was a little hesitant to read another one. What I found was a raw, emotionally packed journey. Webb told her story with emotional candor, sparing no one and nothing, not even herself, as worked through self-discovery to learn what was causing her to sabotage her outwardly perfect life. Financially secure, upper class, married with children in a nice home in Chicago, Webb had achieved everything she thought was the epitome of success during her dysfunctional and abusive childhood in New Orleans. But more than being passed over for promotions during the economic downtown that was the early 2000s, more than increasing dissatisfaction with her career path, even more than reigniting her religious faith, she realized the only way she was going to effect a positive change in herself was to go deep and heal pain she wasn’t aware she’d harbored. Even though I wanted to tread lightly through her story, I found myself eager to pick it back up every time I had to put the book down. I was fascinated by the way Webb learned to evaluate her motives and shared her life lessons with her readers. Written in an engaging manner, readers are encouraged to participate in the transformation process, the same way a butterfly moves from egg to flight. Recommended for those who appreciate biographies with deep lessons, self-exploration and evaluation, and spiritual matters. 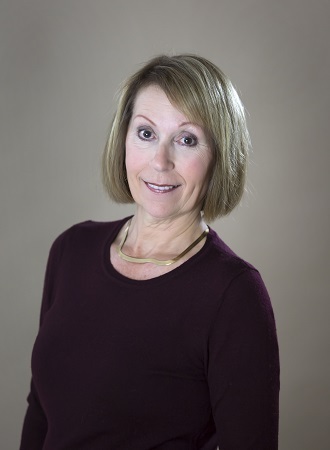 An accomplished entrepreneur, Suzette Webb founded Light of Mine (“LOM”) in 2006, a company that designs and manufactures high-performance lighting systems for military armored vehicles. The opportunity to support our military men and women has been an honor for her both professionally and personally. She also produces and hosts a devotional podcast called B Moments, which airs daily on Moody’s Christian radio station. This unique devotional allows time-crunched people to pause, reflect on their faith, and set positive intentions for their day. B Moments encourages listeners to take a moment to “Be still…to Be fed by the Word of God, and to Be grateful.” For a catalog of these daily devotionals visit www.bmoments.org. 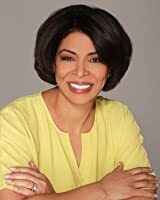 Suzette holds an MBA from the Kellogg Graduate School of Management, Northwestern University, and a BA in Communications from Loyola University, New Orleans. 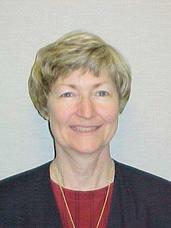 She serves on the Board of Directors for International Teams, and is a member of Chicago Women in Publishing (CWIP). She is also a fund development services consultant for By the Hand Club for Kids, a faith-based after-school program that helps children who live in high-risk, inner-city neighborhoods have abundant resources and a fulfilling life. Suzette and her husband live in Chicago and have three sons. Visit her at: www.bluestoblessings.com. CarleneHavel writes Christian romance and historical stories set in Biblical times. I’ve been a long-time fan of her biblical fiction, from The Scarlet Cord about the story of Rahab to Daughter of the King, the story of Michal. Carlene shares some background on the creation of her latest release, Song of the Shepard Woman. In the first century, Channa’s stepfather gives her to her maternal great-uncle Avram to raise. Avram is known to be a peculiar, perhaps dangerous, man. His wife Yael cannot speak. Nevertheless, they are kind to Channah and teach her how to care for sheep. When her stepfather unexpectedly announces her betrothal to a Jerusalem tanner, the girl is forced to leave the only home she knows. Channah looks forward to a loving husband, but soon learns she is to be Enos the tanner’s second wife. The beautiful first wife is barren, and she resents her youthful rival. 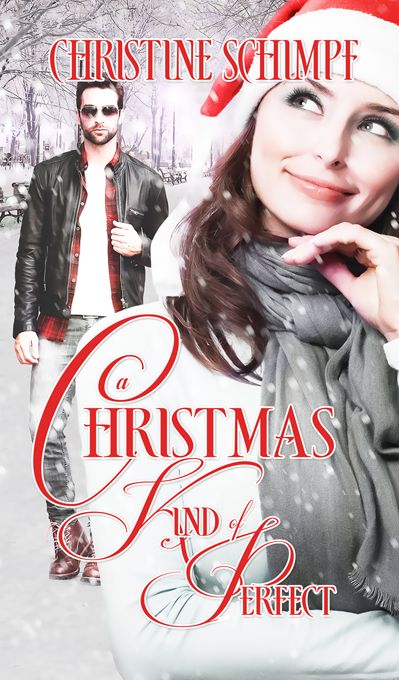 Channa struggles to adjust to marriage and city life, cherishing the hope of someday having her own child to love. 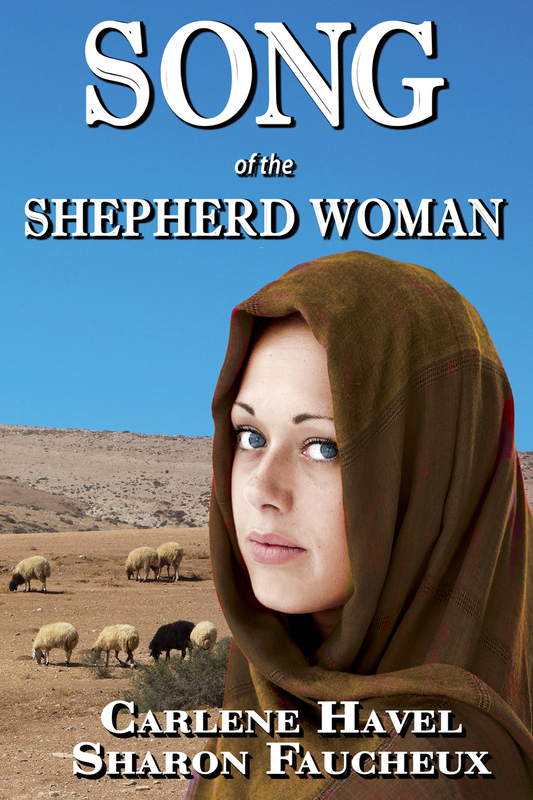 Carlene, tell us how Song of the Shepherd Woman came about. Carlene: What if events robbed a young man of his faith? What if he based his subsequent actions on a false belief? Suppose he learned the truth late in life. What if he was given another chance after he thought all hope was gone? Perhaps such a man could unwillingly take responsibility for a helpless child, a little girl who reminded him what simple trust looked like? These questions rattled around in my head, forming characters who became Avram and Channah in Song of the Shepherd Woman. After I fell in love with them, there was no choice but to write their story. 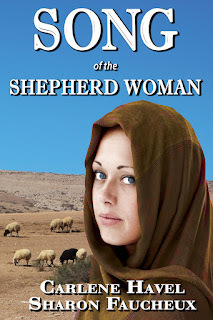 Song of the Shepherd Woman became a labor of love. Sharon Faucheux wove her historical research into my narrative, resulting in a story we hope readers will enjoy. We are offering this full length novel at an introductory price of 99 cents for a while, and it’s available just about everywhere ebooks can be found. Hi, all - taking care of ourselves is a good idea. Healthline is a trusted website that provides good content. We're not going commercial in any way, just sharing solid information. And, yeah, I'm guilty, too. I live two hours away from my doctor, but have a virtual doctor visit available through my insurance. And just like the video at the survey site says...trying to get an appointment for a new doctor is crazy. It took nine months-no lie-with one health system out of Milwaukee WI to get established with a new internist. What country am I living in, again? But there are alternatives. Check the links and listen to the information. It's good. If you hate going to the doctor, you’re not alone. A survey by the medical scheduling company ZocDoc found that 80% of Americans delay getting preventative care, or forgo it all together. Work responsibility was cited as the number one reason people cancel check-ups, while others cited not scheduling check-ups due to the difficulty of getting an appointment, or trying to self-treat with advice from the Internet. Despite all the obstacles to regular doctor visits, check-ups and preventative care are crucial pieces of maintaining your health long-term. Here’s a few reasons why you should make regular check-ups part of your routine. Find problems before they start. Early detection leads to better success with treatment and cure for conditions such as heart disease, cancer, STI’s, high cholesterol, and high blood pressure. Regular screening allows your clinician to treat problems before they become severe or even life-threatening. Continuity in your medical records. Your physician’s office will keep records of all your visits and can remind you when you need immunizations and screenings. Your primary care doctor can provide your medical records to specialists if and when you need them. Develop an ongoing relationship with your doctor. Seeing your primary care physician regularly ensures that he or she will have an ongoing knowledge of your health, and can be on the lookout for any changes that may signal a problem. Familiarity with your physician may also make you feel more comfortable discussing issues that require trust, such as substance abuse problems, domestic violence, or depression. Ask questions about your health, or discuss any changes you have noticed. While a variety of medical information is available on the Internet, Google can’t replace asking your primary care physician any questions you might have. If you’re worried about a strange looking mole or a swollen lymph node, seek medical advice from someone familiar with you and your health. Ensure that you are maintaining a healthy diet and exercise routine. Many health problems can be prevented or mitigated by eating nutritiously and exercising regularly. Regular doctor visits can ensure that you’re checking in with someone at least once a year to make sure you’re eating properly and getting enough exercise. Keep up to date on immunizations. Vaccines aren’t just for infants and toddlers. Adults may need booster shots for childhood immunizations, tetanus shots, or a yearly flu vaccine. If you’re traveling to a foreign country, you may need additional immunizations that your doctor will be able to inform you about. A physical examination is recommended at least once a year, especially for adults over 50. Women should receive regular Pap smears to check for cervical cancer and mammograms starting at age 40. Men should be screened yearly for prostate cancer starting between age 40 and 50, depending on their risk factors. Alternating between contemporary and historical times, Bear Medicine is a story about women helping women in a complicated, male-dominated world. When Brooke sets off on a trail in Yellowstone National Park to train for an upcoming marathon, she is savagely attacked by a grizzly bear. One hundred forty years earlier, Anne accompanies her husband on a camping trip in the nation’s first national park and awakens one morning to find he’s been captured by Nez Perce warriors. Both women encounter a sacred but savage landscape. Both fall under the care of American Indian women. Ultimately, Brooke and Anne will need to overcome multiple obstacles, with the help of their new friends and native lore, to find what she seeks. Seeking and Finding are complicated…discovering what you need and what you want, and how you are needed can result in very different journeys from your starting point. In Kretchmer’s new novel, a simple camping trip, and a week away from distractions turn into life-altering challenges for two women separated by centuries. The author maintains her story is about women helping women in a male-dominated world. That was certainly true for Anne, the nineteenth century wife who was forced to accompany her husband on an adventure in the wild west. Brooke, the twenty-first century wife, chose her destination, as well as her destiny. In this lengthy novel, Kretchmer weaves a story of how sacrifices in the past provided a haven in the present. Both main characters of different times were enslaved by societal ideals and customs; both discovered they were capable people in their own ways. While the journeys of both historical and contemporary women parallel the other, the author takes time to flesh out events that lead them on the route to self-discovery. 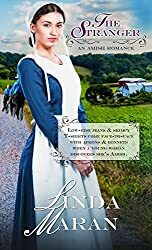 Historically, a widowed Nez Pierce woman and Anne team up to create a new settlement; Brooke finds a place of healing and communal healing as a result of that teamwork. I found Brooke hard to take on many levels. She was a compliant wife to an endlessly clueless and snarky overbearing man who, once on her own, became attractive to several different men in her new environment, even while whiny and needy. Her kids were disasters, but her journey to self-discovery was worth following. I wasn’t always sure where the author was going to take me, and at times, it seems she wasn’t, either. The setting of the story was lush and rich and the characters nicely developed. 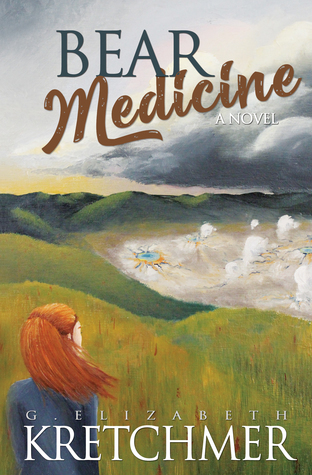 Readers who appreciate historical struggles for women’s independence and modern day struggles for women’s assertion will love Bear Medicine. I found myself wishing to spend a couple of weeks at Maggie’s Place, the haven Kretchmer created as the Wyoming settlement strictly for women. Bear Medicine is my third full-length work. Originally from Chicago, I’ve also published The Damnable Legacy, a novel set in Alaska about how far we’ll go to achieve our goals and at what cost, and Women on the Brink, a collection of short stories about women facing life’s unwelcome realities. My short work has appeared in The New York Times as well as various anthologies and other publications. I hold an MFA in Writing from Pacific University and a BS in Accounting from Indiana University. When I'm not writing, I'm facilitating wellness-writing workshops, advocating for the environment, or working on my organic farm in the Pacific Northwest. At age eleven, Alex Sinclair pledges an oath to the Duke of Chatham promising to serve and protect his illegitimate daughter, Lucy FitzHarris. Nine years later, the duke unexpectedly takes Alex up on his vow, offering the future Laird of Balforss his daughter’s hand in marriage. Now a man, hotheaded Alex has difficulty convincing Lucy—who would rather starve to death than marry a vulgar Scot—to go through with the arranged marriage. Once Lucy arrives in Scotland, she cannot resist the magic of Balforss or the allure of her handsome Highland warrior. But when Alex seemingly betrays Lucy right before their wedding, she is tricked into running away. Alex must rein in his temper to rescue his lady from unforeseen danger and Lucy must swallow her pride if she hopes to wed the Highlander she has come to love. Charming and delightful debut novel, wonderfully done. As described, it’s a marriage meant to be in the best interest of all parties—the illegitimate daughter of a Duke will never be accepted in London society, so is given to her father’s good friend and business partner’s son. Unfortunately, Lucy must travel north, away from everything she’s loved and known. Fortunately, Alex has grown up into a fine man. Lucy learns quickly there is much to love about Balforss, Alex’s home, and Alex, too—temper, playfulness, loyalty. Never having had a mother, she quickly takes to Alex’s family and their ways, and just when she’s decided that marriage better come fast before she and Alex get carried away, her past catches up to her. I must say, with all the hype anticipating this book I was prepared for a bedroom romp, but the story is far from it. Sure, there’s sensual tension, but nothing out of the ordinary, and leads up to a highly anticipated wedding night. Well done, well crafted story to avoid being another cliché romance. Told in multiple viewpoints from several characters, the author’s first book in the series shows adept, organic handling of customs, language and historical events without banging the reader over the head with brogue or unusual, unexplained practices or words. Some language. Tender and tough in all the right places. Recommended for those who enjoy Scottish or otherwise early nineteenth century historical romance and intrigue. Hi, I’m Jennifer Trethewey and I write about men in kilts because, hey, what’s not to love about a man in a kilt? I was lucky enough to travel to Scotland twice. I have fallen in love with the Highlands and all things Scottish: the people, their language, cuisine, customs, idioms, humor, history, intense sense of pride, and, most of all, the land—the perfect setting for sweeping romantic tales of love, strife, and glory. As they say, Scotland is pure dead brilliant! I’m an actress, former co-artistic director of a professional theater company, and my husband and I operate an improv comedy club. I live with my comedian husband in the Midwest where I’ve been ever since college. I write both contemporary and historical fiction full time. I like to read romance, mystery, fantasy, and paranormal, as well as literary fiction and non-fiction. I love movies and music and dogs and good wine and I love to enjoy them all with my friends. FREE OFFER! - read the interview below to see terms. Seventh Dimension – The Prescience, A Young Adult Fantasy, is the fifth book in the Seventh Dimension Series that combines contemporary, historical, and fantasy elements into a Christian “coming-of-age” story. When bombs fall on Jerusalem, Shale and Daniel rescue an orphan and return to the first century. Amid supernatural tribulation, they hope to unravel the mysterious disappearance of Daniel’s father and the goal of the New World Order. When multiple realities collide, God reveals once again time is an illusion until the appointed times. This is so far my favorite of the series. Although you do want to know what went before, it’s not necessary in order to immerse yourself in this story’s possibly real near future—the big one, where no one survives. The series takes a contemporary young lady, Shale, on journeys back in time, mostly to the biblical time of Christ where she experiences life in the first century AD. She meets and falls in love with a young man whose family is involved in the time portals responsible for these adventures. Shale and Daniel are on an ever-increasingly amazing rush toward the biblical end times. Daniel knows he’s one of the special chosen, the 144,000 Jews of the book of Revelation, who will make the final stand against evil. He’s in love and wants to marry Shale. Problem, besides needing to find his father who may or may not be part of the events, is that the chosen are men who have not been with a woman—unmarried, or virgins. He needs to respect his calling, as well as Shale. This leads to a new phase in their relationship as they travel back to biblical times and other traumatic eras to unravel family secrets. Temptation, more chariot racing, supernatural powers, good guys, bad guys, scary guys, and time dancing all make this thrilling next-to-last edition of The Seventh Dimension series a great inspirational read. Told through multiple viewpoints, The Seventh Dimension series is geared for Young Adult readers, but anyone will enjoy the books. The Prescience is part of a series. Question: You’re near the end of the Seventh Dimension Series. Share with us some of the challenges and joys of writing a series. Lorilyn: The joys far outweigh the challenges. I’ve enjoyed spending the last five years with these characters talking to me in my head. The overarching story compelled me to search for answers to questions that arose as the series progressed. I wanted everything to be as historically accurate as possible. Many afternoons and evenings were spent reading the Bible and Christian nonfiction books, and I’ve watched dozens of YouTube videos about hard-to-understand topics like the Book of Revelation. Young people who read a lot have probably read scores of books about vampires, dragon slayers, and witches. I wanted to raise the bar. I wanted realism in my series, but I also wanted a taste of fantasy because that opens possibilities. Writing the Seventh Dimension Series has allowed me to explore far more than could be covered in just one book. With only The Howling left to complete the six-book series, I’m looking especially forward to finishing it. I believe the ending will capture the reader’s heart, mind, and imagination. I never thought when I wrote the first book, Seventh Dimension – The Door, that I would end up writing six in the series. God kept showing me insights and great plotlines, so I just kept writing. Probably the biggest challenge has been keeping track of what the two protagonists knew and when they learned it. Three books have been written from Shale’s POV and three will have been written from Daniel’s POV when the sixth book is finished. So they learned different things at different times and interpreted things differently from each other. So I’ve had to go back and re-read chapters along the way to make sure my memory was accurate. When I do that, I’ll find something that I think could have been written better. So I never quit editing my own work, even after the book is published, and that drives me crazy. I want my writing to be perfect, but there probably has never been a perfect book written except the Bible. 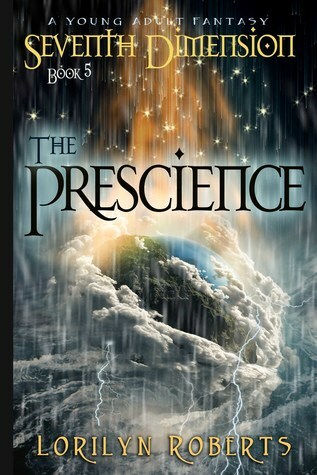 Question: Do you have a favorite scene in The Prescience? Lorilyn: I have one scene that’s particularly special to me. It’s a garden scene where Shale and Daniel are waiting in the train. The scene comes from something in my own life. When I was seven, my adoptive father wanted to take me on a train trip to see the fall colors in the North Georgia Mountains, but the train never left the station because of a broken coupler. Through the years, from time to time, I would think about that train trip that we never finished, wistfully longing that someday we would. Then, when I was thirty-seven, Gene was diagnosed with a brain tumor that we knew he wouldn’t survive. Through a series of events God orchestrated, we had the opportunity to make that train trip shortly before he went to heaven. While the scene in the book has no direct correlation to that, the broken coupler happens in the story, and what Shale learns through waiting is something God has been trying to teach me my whole life. I’m just a slow learner. Because it’s such an unusual scene, I think readers will remember it long after they read the book. At least I hope so. Question: You’ve been through a life challenge while working on this story. Has your experience changed your writing style? Lorilyn: Absolutely. I wrote the first couple of chapters at the end of December 2016 and was diagnosed with breast cancer the first week in January. I wrote like crazy through January and February to get the first draft completed before my surgery on February 22. All I could think about was if I didn’t survive the surgery, I wanted the story to “live on.” I was still consumed with it after my surgery because I didn’t quite get the first draft completed, and then when I got to ninety thousand words, I realized I couldn’t complete the story in one book. It would have to be stretched into two. So I slowed down and began editing, editing, and editing—and finally relaxed. I began to realize God wasn’t in a hurry for me to complete it. He wanted me to make the most of each day, rest in His arms, so to speak, through my treatment, and give Him the glory for every trial I encountered along the way. I remember many, many years ago, when I was about ten, I read a book that I’ve never forgotten. I can’t remember the title or the author, but the plotline was about a young girl who was in a hurry to grow up. She got her wish and grew up really, really fast, but she regretted it in the end because she missed out on so many things. As I’ve gone through this last year, I found I couldn’t rush the treatments. I had to take each day as it came, and make the most of it. If I wasn’t up to writing, I didn’t feel guilty. If I couldn’t blog as much, which I definitely couldn’t, it was okay. So I’ve learned, I think, to be more patient, to take my time, not work as much, get more sleep, and spend more time with friends and family. I love to write, and it draws me near to God when I do, but God wants me to find my joy in Him completely. I can’t do that if I’m in a hurry all the time. That means taking the time and not living under compulsion to accomplish something every single minute of the day. Psalm 46:10 says: “Be still and know that I am God.” God made me slow down, and to be honest, I think it’s made me a better person. I have more defined boundaries. Instead of captioning seven days a week, I now caption only five and a half. I’m on a daily reading schedule to read through the Bible in a year. I went to see a movie with my prayer group, the first one I’ve been to in at least five years. My daughters and I have gone to three theme parks in the last couple of months. I’m learning how to live again and not work all the time. How does that translate into writing? I think it makes me more productive when I do write. I’m not so tired and not so drained. It’s hard to be creative when you’re working night and day, seven days a week. Question: Can you share a hint about what we might expect for the next book in the Seventh Dimension Series? Lorilyn: The final book, Seventh Dimension – The Howling, is written from Daniel’s POV and takes place in the future. All the characters that have been introduced in the previous books will make an appearance, including the animals. The fate of all the main players will be revealed, and the reader will be left with much to ponder as he contemplates his own future. I also promise this: The ending will be glorious! Question: What are you reading now? Lorilyn: Currently I’m reading Gone Missing from Emma Right’s Dead Dreams Series, and when I finish that, I want to read The Landlord by Cheryl Colwell. I’ve read books by both Indy authors and like their style of writing. If readers have authors they love who write suspense, mystery, or fantasy, I hope they will leave their recommendations in the comments section below. If I see one I decide to pick up on Amazon, I’ll send him or her a free coupon for a Kindle copy of Seventh Dimension - The Prescience as a thank you. A lyrical mix of memoir, travel writing, and environmental history When longtime author Robert Root moves to a small town in southeast Wisconsin, he gets to know his new home by walking the same terrain traveled by three Wisconsin luminaries who were deeply rooted in place—John Muir, Aldo Leopold, and August Derleth. Root walks with Muir at John Muir State Natural Area, with Leopold at the Shack, and with Derleth in Sac Prairie; closer to home, he traverses the Ice Age Trail, often guided by such figures as pioneering scientist Increase Lapham. Along the way, Root investigates the changes to the natural landscape over nearly two centuries, and he chronicles his own transition from someone on unfamiliar terrain to someone secure on his home ground. Root begins his story by admitting he’s a non-native Wisconsinite, though claims home territory along the Great Lakes. A naturalist, an observer, teacher, and one endowed with curiosity, Root endeavored to discover and begin to learn all he could about his final home in a way few even bother to consider. Having just relocated from one side of the state to another to settle on a farm we’ve owned for over twenty years, I was enamored by Root’s introspection and tenacity to uncover secrets of the land, and perhaps, portend the future. He kept a detailed journal of his hikes, research, and thoughts for several years. As mentioned in the blurb, Root follows three of our more known historical naturalist homeboys on his tour after becoming familiar with his immediate new neighborhood west of Milwaukee. He visits John Muir’s boyhood territory in Marquette County, as well as August Derleth’s Prairie du Sac/Wisconsin River, and Aldo Leopold’s sand country. These three lived and wrote about south central Wisconsin. Root spent hours with maps and literature from Wisconsin’s Department of Natural Resources and the Ice Age Trail Alliance, as well as dozens of resources about the authors, nature, topography, geography, history, and so forth about the area. The book is filled with generous details of the types of land, the differences between fen, bog, and marsh, the type of flora during the different seasons, underground, soil, native and invasive species. His knowledge of bird and animal life leaves me envious. A somewhat saddened note sounds toward the end of the book in the section “The Land Itself.” “Settlement eliminated a great deal of Wisconsin life,” Root writes. Early pioneers describe a wondrous mix of topography and its supporting flora and fauna. “The last bison was killed in 1832,” he says, with a litany of now missing creatures. In his epilogue, Root invites us to “see the land as a community to which” we belong, and urges us to consider our lifestyle’s impact on the environment. He’s encouraged me to get to know my little piece of Wisconsin better. Detailed and thought-provoking, Walking Home Ground is for those who love Wisconsin and enjoy nature and environmental reading. It’s a subtle call to action, and a request to remember where and who we are. Any quibbles I had are the lack of maps, though I understand the reader is encouraged to get out his own map, or better yet, go. The book is detailed as mentioned above; once or twice I almost expected a test at the end of the segment. Included is an Index and a Resource list. Bob Root (Robert L. Root Jr.) believes he has been a writer since he was around eight years old, when he came home with a friend from a showing of Superman and the Mole Men, pried open the lock on his mother’s typewriter, and created a series of very short adventures about Tiger Boy. A frequent presenter on creative nonfiction and composition at national, international, and regional conferences, his scholarship and teaching led to many articles and books. From 2008 until 2017 Bob was a visiting faculty member in creative nonfiction in the MFA Program in Creative Writing at Ashland University in Ohio. He is currently a teaching artist at the Loft Literary Center in Minneapolis and a freelance editor of essays, memoirs, and literary nonfiction. He lives in Waukesha, Wisconsin. Goodreads Giveaway during the month of December - sign up! Conrad Hamilton thought his life would be easy. A great job running his own construction business, living in his hometown in Door County, Wisconsin, with Lila Clark by his side. He planned on marrying her as soon as she returned from her Chicago internship but it never happened. Lila never expected to become a successful writer nor did she plan on spending the last decade in New York. But she did. Can the magic of Christmas turn two hearts back to one another again or is it too late to capture that special kind of perfect? Lila almost tripped over her suitcase as she swept into her apartment. Hand to chest, she willed the panic to subside. It seemed that everywhere she went lately, she saw a tall, broad-shouldered man who reminded her of…him. Her first love. He was even showing up in her dreams. Taking a deep breath, she locked the door and kicked off her high heels. She dragged the suitcase to her bedroom and quickly unpacked as if by doing so she could set memories from ten years ago back in the closet of her mind where they belonged. It hadn’t mattered where her book signing was or that she’d been out on the west coast working on the movie versions of her books, Conrad haunted her. Ah, the mind of an author was a terrifying place at times. She’d been working too hard. At least that’s the excuse she gave herself. Settling into more comfortable clothes she headed to the kitchen. Lila walked to the window of her apartment cradling a cup of chamomile tea sweetened with honey. She watched the street traffic below, which reminded her of a busy ant colony. How she wished the city would sleep, if only for one night. Oh, the blessed silence. She’d walk for miles. Better yet, she’d run. Although Lila feared the attempt wouldn’t be easy. Like so many other activities she used to enjoy doing, she’d abandoned running since moving to the Big Apple years ago. She padded over to her favorite chair, a chaise lounge in dire need of new fabric, and snuggled in like a fat cat finding its spot. The chair stuck out compared to the eclectic-themed room, but Lila refused to reupholster the piece despite the persuasive arguments from her friends. In an odd sort of way, Lila drew comfort from the inanimate object. They shared the same flaw—an inability to fit in with their surroundings. Lila’s bones ached. Now that she was back in the city, her life would return to normal. She’d hibernate for the next few weeks and start outlining her next book. Ugh. At this point, she’d much rather clean her uncle’s morning catch of fish. Goodness, what had made her think of her uncle? He’d died years ago. Reaching for the remote, she flicked on the receiver. Sounds from an acoustic guitar filled the room. Ooh, much better. She placed her emptied cup near her phone on the end table, leaned her head back on the cushion, and stared up at the ceiling. Lila’s heart stopped as if she’d skidded on ice and slammed her vehicle into a fire hydrant. This wasn’t Andrea. She recognized the sing-song melody in the caller’s voice, so reminiscent of someone from the past. Was her memory going as well as her stamina? Christine, what is the most challenging aspect of writing for you? Absolutely killing my darlings! And they always seem to be scenes that you love the most but that’s the tough work of editing. Having a critique group is essential for me so I can weed out what doesn’t work and hone in on what does. Are your characters created from people in your life? I’d have to say they are more likely a combination of all the people I’ve met along the way of life. A writer draws from their real life experiences…the great times in our lives and the times that hurt us the most. I believe that’s our voice. Where do you get your ideas for your books? Would you consider yourself a creative? It’s pretty simple really. I wait on God’s timing. I find the outdoors very inspiration for my writing and spend as much time as I can outside. Of course, living in Wisconsin, that time becomes more limited during the cold winter months but if the temperature is above 20 degrees – I make sure to get outside. It’s there that I have the most relaxed conversations with God – where I look for His guidance in my work. Once I’m sure of his direction, I proceed to the next story. When I finish one book, I’m never quite sure there’ll be another so I place my trust in The One who does know and let the rest go. I wouldn’t consider that a creative practice but one steered by faith. Anything on the horizon for you? Actually yes. 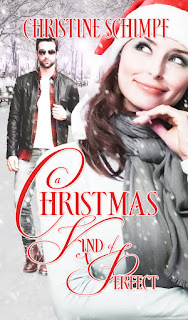 In September, I finished a romantic novella entitled, A Perfect Fit, a spin-off romance from A Christmas Kind of Perfect. The story steps into the life of a young woman who typically chooses the wrong kind of man until she turns the decision over to God. But it’s not always easy letting go, even of behaviors that hurt us. Presently, I’m working on A Perfect Ending another spin-off romance from A Christmas Kind of Perfect with intentions on finishing that work by summer 2018. This story peeks in on a woman with a professional career. Her intentions are to keep moving forward and achieving more and more success until God places her in an unexpected situation and turns her world upside down. Get The Skinny debunks the myths and promotes the practices that contribute to healthy living. * Does muscle change into fat when I stop exercising? * Will lifting weights make women bulk up? * Should I take vitamin supplements? * Is a flat stomach a realistic goal? * Can I still exercise after an injury? * Is it possible to spot reduce fat? * Can ankle weights help burn more calories? * Are fresh fruits more nutritious than frozen? * Is fruit juice good for me? Wow, this is a great little book! 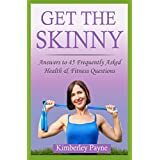 I rarely get excited about non-fiction, but Kimberley Payne’s fitness books are packed with great advice and practical tips. Get the Skinny is an excellent addition. Filled with common-sense information and personal observation, Payne truly does answer, realistically, questions many of us feel too stupid to ask, or didn’t realize there was even an option. Some of my favorites are about how muscle turns to fat when we age and stop working out (it doesn’t), and whether walking with weights makes a difference (it does but probably not in the way you think). Why can’t I spot-reduce, and how to buy a sports bra—just great advice, backed not just by the most reputable medical research results, but experience. Personally, I’m more likely to follow tips by someone who’s walking the walk; not just telling me how, but explaining why. Get the Skinny is a practical guide for today’s practical lifestyle choices. When Kristen Esh loses her mom in a tragic accident months before her 18th birthday, she suddenly finds herself among Amish relatives she never knew she had. The dramatic change from the Jersey Shore to remote upstate New York is difficult enough, but abiding by the Amish rules and lifestyle is a challenge unlike any other. As she discovers secrets that unravel her true identity, she finds an unlikely ally in John Wagler, the step-son of her aunt. He lessens Kristen's fears and encourages her faith. Interwoven with gradual revelations is the growing love between Kristen and John. One that encourages forgiveness and helps seal Kristen's fate. Maran’s debut book length fiction is well done, with coming of age elements. A young lady recently orphaned discovers the truth behind her identity and must come to terms with life-changing, life-challenging decisions on the cusp of adulthood. Little about life for Kristen was anything like her friend’s lives—those with two parents, siblings, and a home of their own. Kristen lived with her mom and her mom’s boss in his large, empty home. She was usually alone and had learned to fend for herself and traverse high school, doing well enough with the help of her best friend’s stable family life and a boyfriend. The news of her mother’s death, along with that of her boss in a tragic accident left her numb. What left her reeling was her mother’s instructions—after high school, she was to live with her aunt and family until her eighteenth birthday. Her aunt’s Amish family. Kristen’s mother had been raised Amish, but Kristen went as a stranger to her hopefully temporary life. When Kristen’s boyfriend disappeared, Kristen had to decide whether to stay or leave and be truly alone. Her new shirt-tale relative who lives with the family, John, makes that decision easier. More complications arise when Kristen’s mysterious father’s identity is uncovered. The Stranger is contemporary new adult fiction, set in an Amish environment. Recommended for those who enjoy Amish fiction and romance with post-high-school-age characters. Told from multiple viewpoints, both male and female main characters, The Stranger is a story of finding home and family no matter who you are or how far removed you’ve been. I am the author of: Confronting the Bully of OCD. (Obsessive Compulsive Disorder.) A beneficial step-by-step self-help book with techniques taught to me by a leading NYC OCD specialist. I enjoy reading, writing, praying, nature, NYC jaunts, walking to keep fit, cooking, playing drums, and good phone conversations. I don't eat animals. When terrorists attack, tornadoes make homes disappear, or hurricanes have communities tumbling like building blocks, our hearts weep for those in need. With insight into a world most people are unaware of, Debbie McKinney brings us along on the true story of her volunteer adventures. Travel with her through both uplifting and emotionally challenging experiences. An engaging, honest, and heartfelt account of bringing hope to people after 9/11, Hurricane Katrina, northern New Jersey flooding, and Hurricane Sandy. Her daily journals provide a unique view behind-the-scenes of what a volunteer does, experiences, and feels. If you’ve ever wondered what it was like for those who drop everything and purposefully run into trouble, McKinney’s book is for you. The author was a long-time Red Cross volunteer with understanding bosses in her field of college administration who allowed her leave time to go and help. 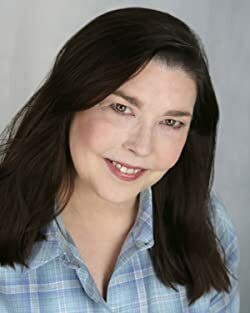 Although no one could respond to every disaster when called, and McKinney didn’t, she was part of the recovery efforts of some of the worst natural and man-made disasters in modern American history. Bringing Hope chronicles her time rendering aid. McKinney shares how she became a Red Cross volunteer, a little history of the organization, and the typical responses in both her large urban community of Milwaukee, and the smaller, rural community in northern Washington County. Then she shares her personal journals and recollections from heart-wrenching major disasters such as the terrorist attacks on New York in 2001, and two of the formerly worst storms to strike American coasts. The book is personal as well as matter-of-fact, a tell-it-like-it-was account of her role in the aftermath of tragedy. Not an immediate responder for the biggest disasters, McKinney was part of the team to go in a week or more after the event and help people mitigate their losses. Some were easy to take care of; most involved hours on the phone, deliberate decisions of how much money to give, where to find the basic necessities, or counselors, all while living away from family sometimes for weeks in situations little better than the victims. McKinney’s story doesn’t end with her personal account, it’s a call for action, encouraging readers to respond by finding ways to help others where they are. Bringing Hope is a great story that will touch your heart, make you see red, cry, and laugh even when it feels as though things will never be the same. Debbie McKinney is an accidental author, convinced to share the journals of her volunteer experiences after 9/11 in Washington, D.C., Hurricane Katrina in Mississippi, and Hurricane Sandy in New York. She grew up and began her twenty years of volunteering in Milwaukee. A former Financial Aid Director with a BA in Interpersonal Communication from Marquette University, McKinney currently lives in rural Wisconsin with her husband. She enjoys gardening, model trains, and traveling.